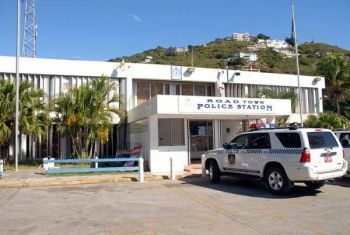 ROAD TOWN, Tortola, VI - Police are investigating an aggravated burglary early Sunday morning where two masked gunmen forcibly entered a home and took cash and several electronic items. At that time of the burglary the property was occupied by a lone male who reported that the assailants, one described as light in complex, 5’8ft in high and 190 pounds and the other dark, 6’0 in height and 140 pounds, entered his home in Hannahs Estate and kicked open his bedroom door. They then pointed their firearms at him and made demands. The pair then ransacked his room and the rest the home before fleeing the scene with electronic items, a watch and cash. Police are also investigating a robbery attempt made on man late Wednesday evening. The victim who was gun butted in the incident reported that he was walking from the basketball court in Purcell Estate through an alley towards One-Mart Supermarket when he was accosted by a male who demanded whatever he had. The assailant struck him twice in the head with the gun he was carrying and fled the scene. Police are seeking information from witnesses or anyone who may have information that can assist in these investigations. Persons are encouraged to contact the RVIPF Intelligence Unit at 468-9339 or the Criminal Investigations Unit via the RVIPF access number 311 to provide this information. Persons are also encouraged to call the Miami-based Crimestoppers number and provide this information anonymously. The Crimestoppers number is 800-8477 (800)-TIPS.